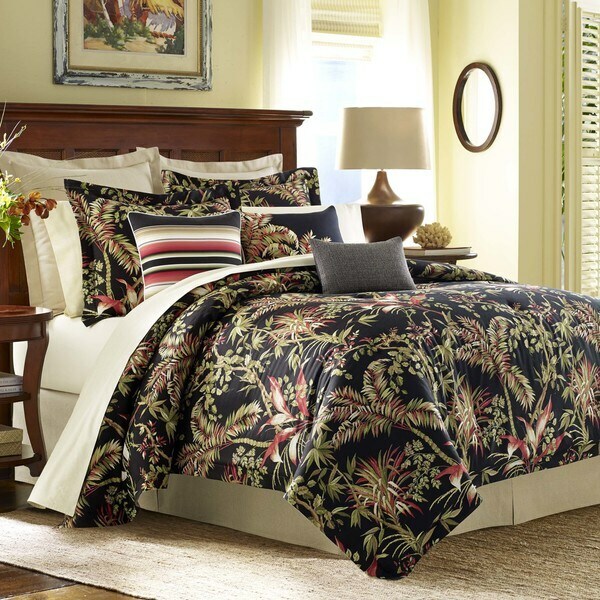 Tommy Bahama Jungle Drive Duvet Set features a dramatic, exotic botanical print on cotton sateen base for a bold statement. Textured wovens, and elegant embroideries with accent accessories make this bedding ensemble a standout piece in any bedroom. Shams also avaiable, sold seperatly. I was disappointed in the printing on the fabric. It wasn't what I expected, and it looked a little cheap when I was in up close. So that was a disappointment as their items are usually pretty good. "How do you get the shams?" Please see item # 24776183 and # 24776182.